The Betterment Website main page makes some pretty bold claims. They say that they are the biggest automated investment service, and that they can assist individuals like you and me with growing and managing our personal wealth with better technology and at a small fraction of the old school financial services’ cost. If these statements presented as fact are true, then we should all run out and open up accounts with Betterment.com. Read on to learn how well Betterment measures up to its own boasts. You might say the numbers bear out at least some of Betterment.com’s claims. They have more than 115,000 investing clients who have placed over $3 billion in money under management with Betterment Brokerage. Their apparently phenomenal success comes down to their best selling point, the website's simplicity of use and effectiveness of design. The website and accompanying customer interface was created for minimalism and ease of use. Besides that, the platform actually operates seamlessly, smoothly, and extremely well. Their customers simply love the ability to have money automatically deposited every month and to know that it is being properly and effectively invested without needing to have a care in the world after the proverbial check is in the mail to Betterment. The site and service does not require you to do any research on any potential investments. You do not even have to worry about if your portfolio needs to be rebalanced. The company does it all automatically while you eat, sleep, work, play, and live your life. It is hard to find fault with such a strategy. The million dollar question is does this concept work in the real world? Using Betterment’s plan, you never own an individual bond or stock certificate. Instead, all of your money is kept in ETF’s, or Exchange Traded Funds. You never have to worry about them putting all of your eggs in one proverbial basket, since they automatically balance it among a good-sized group of stock and bond ETF’s, depending on your particular risk profile and tolerance. In this way, Betterment keeps you from being overweight or underweight any particular sector, country, company, or even asset class. Betterment is not content with simply purchasing U.S. stock ETF’s. They provide you with international exposure, mostly to developed countries of the world such as Great Britain, Europe, and Japan, as well as to developing and emerging markets such as Brazil, China, India, and Turkey. We all know the idea behind this clever-sounding diversification is to reduce your total investment risk. In practice this works with you telling Betterment all about yourself so that they can recommend an appropriate plan of investing to you. They allow you to customize what they suggest, so you maintain some control, if you wish. Next you fund your account while they begin making investments with your cash into a low cost ETF portfolio that is both globally and asset-type diversified. Lastly, you simply relax and let Betterment do all of the heavy lifting for you. We know how appealing this concept is to over 100,000 individuals out there. The question remains, does it work for you and your investment objectives? Stock Markets Diversified Investing – Betterment buys you into a variety of the Vanguard family of ETF indexes, including the Total Stock Market US Index (VTI), the US Large Cap Value Index (VTV), the US Mid Cap Value Index (VOE), the US Small Cap Value Index (VBR), the FTSE Emerging Index (VWO), and the FTSE Developed Market Index (VEA). This provides you with not only small cap and value US stocks, which typically do better than the overall market, but also exposure to developed markets like Britain, Europe, and Japan, and to expanding markets like China, India, and Brazil. Bond Markets Diversified Investing – The company has only recently decided to embark upon a major expansion of the offerings of bonds. These now include Vanguard funds like the Short-term Inflation Protected Treasury Bond Index (VTIP), the Total International Bond Index (BNDX), the Emerging Markets Government Bond Index (VWOB), and for IRA accounts, the US Total Bond Market Index (BND). They also offer the iShares family of ETF’s, including the Short-Term Treasury Bond Index (SHV), the Corporate Bond Index (LQD), and for taxable accounts the National AMT-Free Muni Bond Index (MUB). They recommend this particular bond mix because these index ETF’s provide investors with a good mixture of protections against credit risk of American companies, American interest rate risk, risks arising from international credit, and risks of international interest rates. Preference-Based Balancing – Your particular portfolio will be created from the above mentioned stock and bond ETF index funds based on your age and risk tolerance as measured in a series of questions. Smart Rebalancing – With time, we know what happens to your portfolio of stocks versus bonds. One side will change against the other as stocks outperform bonds or vice versa. Betterment gets around this without having to enter into tax expensive transactions by working with reinvested dividends and cash flows that become available to automatically guide and rebalance your investments. This decreases your capital gains taxes and avoids short term capital gains taxes as well. Tax Loss Harvesting – Betterment sells securities that are lost causes and deep losses and then purchases a related asset with which to replace them in order to take advantage of tax losses for your annual tax return. ETF’s That Are Tax Efficient – Betterment Brokerage works with ETF’s deliberately instead of mutual funds. These ETF’s prove to be the most tax efficient available investments that you can make, in particular when measured against tax-inefficient mutual funds. Tax Min Lot Selling – An intelligent and proprietary algorithm tells Betterment Brokers which gains are long term to sell ahead of short term gaining positions. It also alerts them which losing securities should be sold ahead of gaining securities, thus minimizing any short term capital gains taxes. Retire Guide – We like this service of Betterment’s more than any of their others. 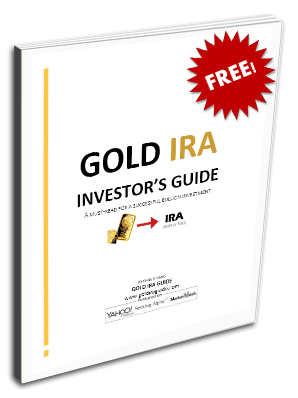 The retire guide is literally a big picture analysis of all of your income sources, spending needs in retirement, cost of living where you live, and savings rate. They consider all of these factors, plus your investment and savings accounts and various assets, even those that are not with Betterment Brokers, in order to form a complete picture and give you high-quality retirement advice. What you end up with is a total and exhaustive panorama of your current financial position and progress that includes individually tailored recommendations on what you need to do to advance your retirement and financial goals. This system will tell you how much you need to save each year to reach your personal goals. Once you are near or in retirement, the system works to optimize your investment returns and to deliver you advice on withdrawal amounts that are sustainable to ensure that your retirement money stretches as long as possible. Betterment’s fees are entirely based on the size of your account with them. If you maintain a smaller than $10,000 balance in the account, then they will charge you .35% per year. At $10,000, this decreases to .25% annually. At $100,000 and higher, the rate drops to .15% per annum. You are not required to make an opening deposit, but Betterment asks that you step up to the plate with $100 per month after opening the account. If you choose not to, then you will be charged $3 a month fees in lieu of the .35% rate per year. Besides these fees that Betterment pockets, you are responsible for your own ETF fees. Betterment does not get any payoff or commission on these ETF fees; they are what they are. They will typically set you back about .10% annually. Even if you are paying the highest Betterment Broker tier fee of .35% annually along with the .10% for ETF’s, you still get continuous expert wealth management for under .50% cost per year. If you can find that level of service anywhere else for less than that cost, please let us know. Your opinion of Betterment comes down to a few simple ticks on a checklist. If you prefer the simple answer to investing successfully and without emotional attachment and the hazards that involves, then we would recommend using Betterment. If you are the type who does not want to put any effort or research time into your investments, then Betterment is for you. If you like the sound of a reasonably priced service for your wealth management needs that is rooted in tried and true investment best practices, then this is your stop. All this is to say that Betterment is great at what it does, which is to provide you with a relatively low priced, no hassle, no stress, and easy-to-use means of investing. For an automated full-service investment package, Betterment is hard to beat. It provides automatic and preferential rebalancing, tax harvesting, tax efficient investing strategies, smart deposit, and fractional investing services, along with great customer service. You receive all of this service, features, and tools at an annual cost of between .15% - .35% charge, depending on how large a balance you maintain in the account. Smart Deposit – This entirely new function permits you to invest extra savings you have in a bank account automatically. Simply inform Betterment the amount of money that has to stay in your bank’s account and the amount above that you would like invested, and they will use the power of technology to transfer funds appropriately automatically out of your bank account to your investment account at Betterment regularly. Fractional Investing – While we are unable to do this as individual investors, Betterment is capable of purchasing fractions of ETF shares so that all of your investment capital is working all the time. Low Prices – Based on what the average portfolio manager or financial advisor is charging these days, Betterment’s fees are astonishingly low. Fantastic Customer Service – Unlike many investment companies out there, Betterment’s workers answer the phone, emails, and even live chat seven days per week. We like the way that everyone we talk with there is both helpful and compassionate. Beautiful Design – The beauty of Betterment’s easy to use interface lies in the fact that it renders well on computers, laptops, smart phones, and tablets. This makes it simple for you to both edit and control any of your investment accounts there. Service Cost Higher than Doing It Yourself – The fees at Betterment are very reasonable for the level of service they deliver, but they are still fees. We know that you can do the same type of investment yourself and save this .15% - .35% annual fee, if only you are willing to buy and sell ETF’s on your own. This requires some research, so if you are not going to put in the time and commitment to do it properly, then better to let Betterment do it for you. Investment Options – While Betterment offers both stock and bond ETF’s covering U.S. and international options, there numbers of ETF choices on offer are still relatively few. There are a number of investors out there who would prefer to have a great number of choices for their investment dollars.